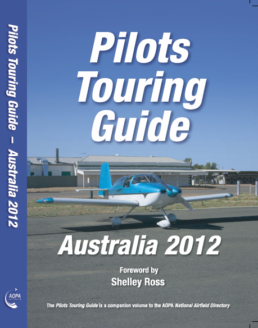 The Pilots Touring Guide is for planning flying adventures. 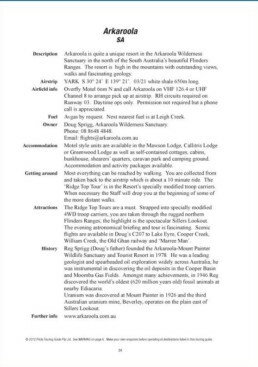 It provides information on destinations where a touring pilot is welcome and there are interesting things to see or people to meet. 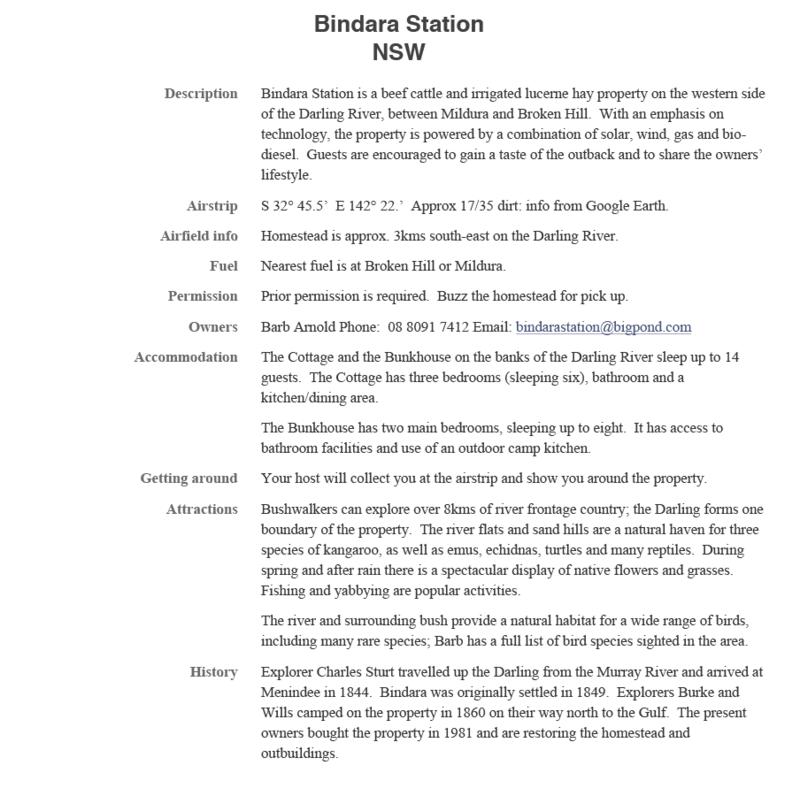 The Guide has notes on the attractions of the property or town, its history, accommodation and phone numbers. 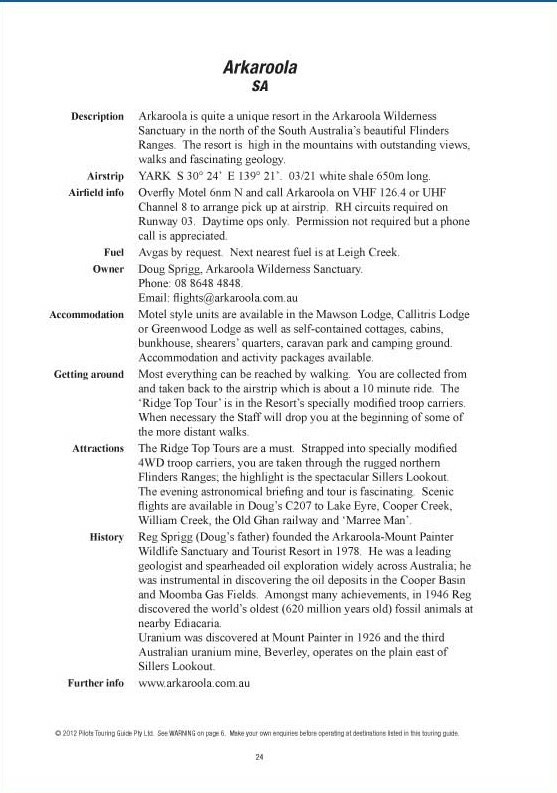 As well as locating the airfield, the Guide indicates the availability of fuel and how to get around. In a word, it answers the questions of ''why go there" and "what will you find when you do". 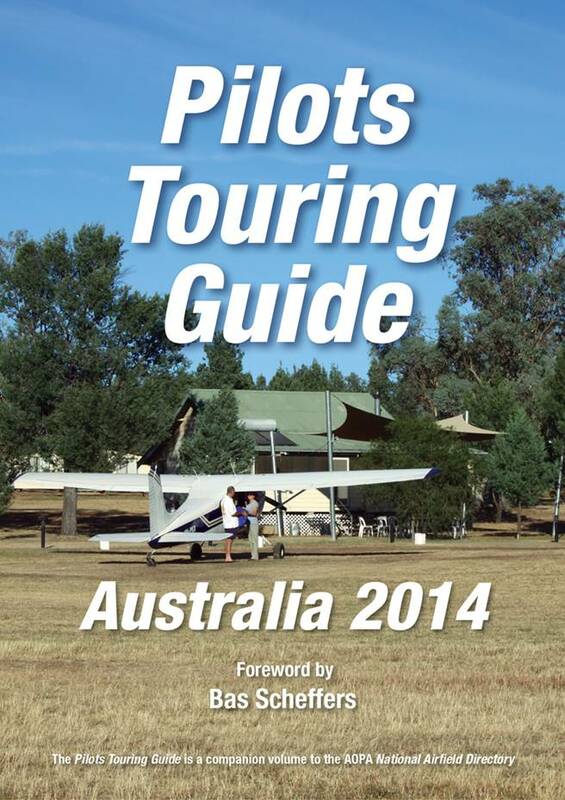 The Pilots Touring Guide is available in three different formats. Firstly, the destination information is integrated into the successful OzRunways flight planning app. 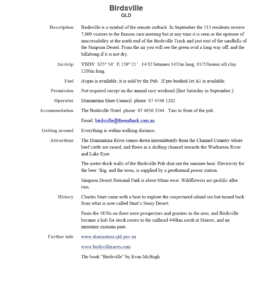 Secondly, it is available to download as a PDF from this website (see below) and thirdly the hard copy of the Guide can be ordered at the bottom of this website...see below. 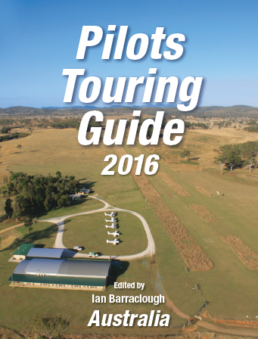 The Pilots Touring Guide is in its sixth bi-annual edition. 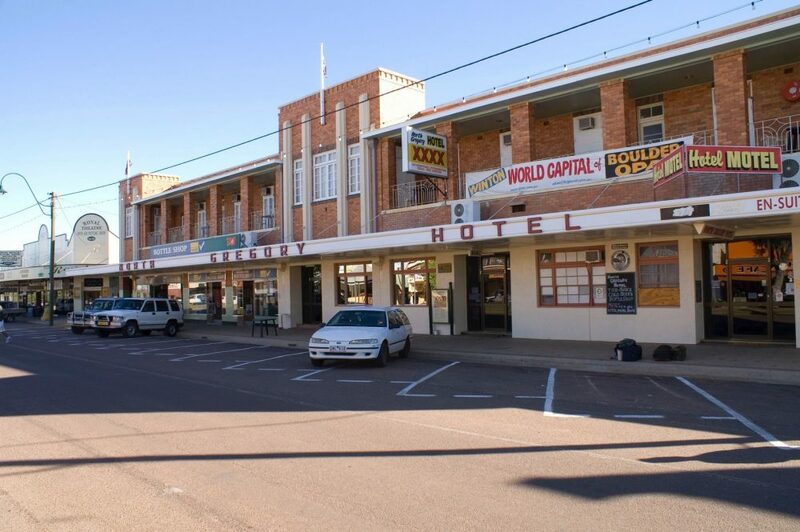 It is revised continuously as touring pilots write in with updates such as 'so and so' has brought the property or the strip has been lengthended, and so on. New destinations are added in each edition and some are dropped off. It is reprinted every two years. 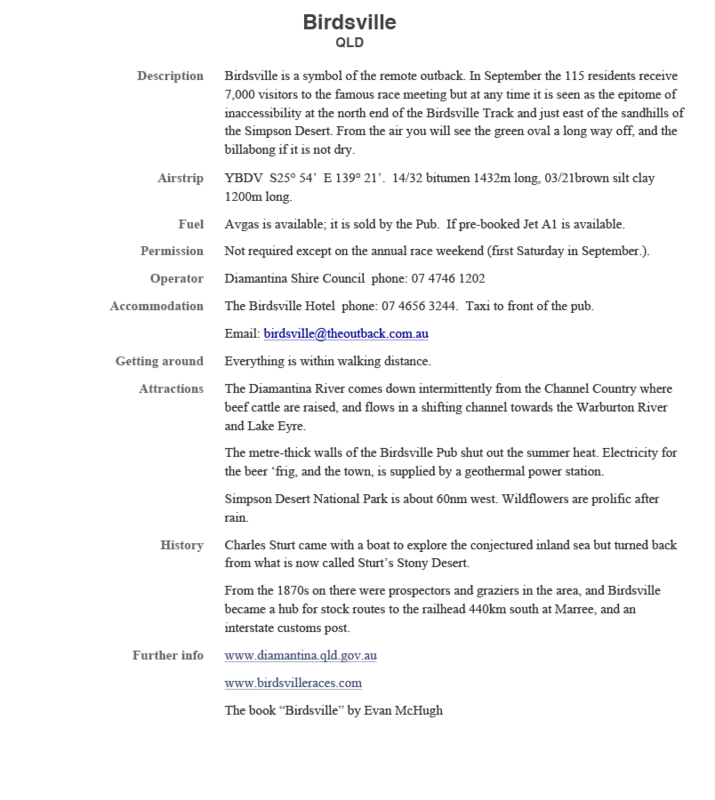 Payment can be made with PayPal (which accepts credit card payment) or if necessary by EFT. The destination information for each of the entries in the Guide is integrated into the successful OzRunways flight planning app. There are usually 2 or 3 'mini' revisions during the two year period. 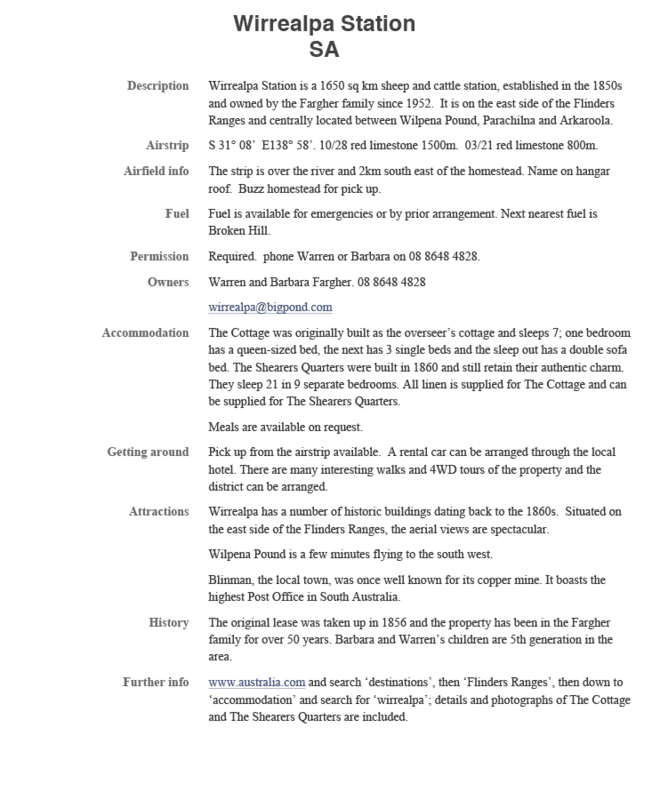 These are incorporated into OzRunway's regular updates. 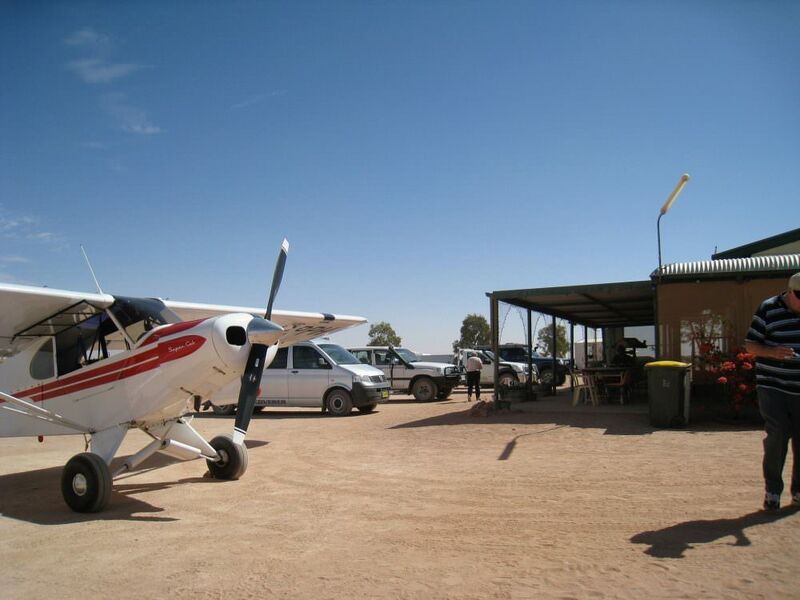 Payment is made through subscription to the OzRunways app. 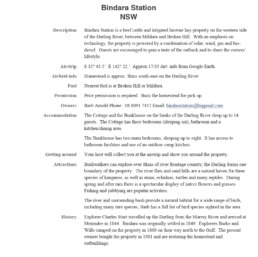 This website provides the facility below, to download a PDF version into a tablet or into a desktop computer. Payment is by PayPal. 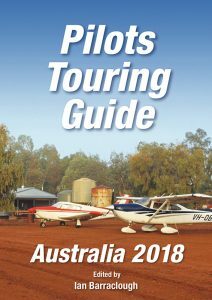 The Pilots Touring Guide map is available. 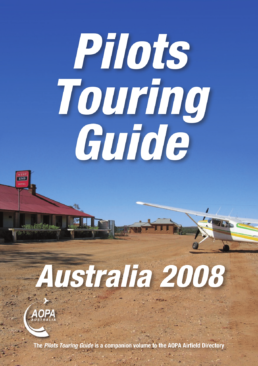 It shows the destinations included in the Guide, some of the larger cities and towns and the main routes usually taken by touring pilots to fly around the country. 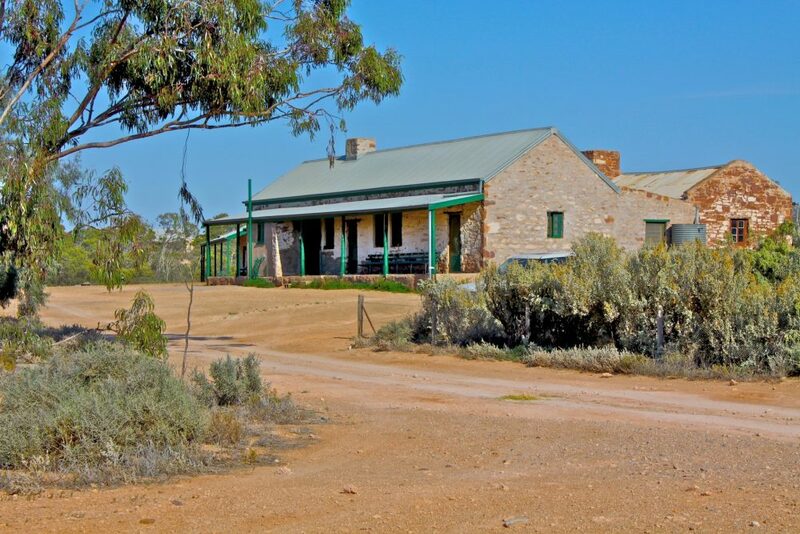 These routes tend to pass through reliable fuel stops and avoid some of the desert country. 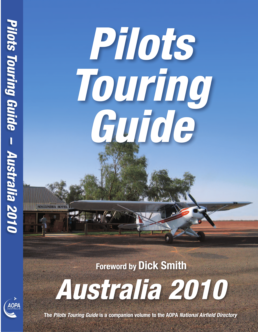 The map is included in the OzRunways map section; It is not included with the paper back version or the PDF download. 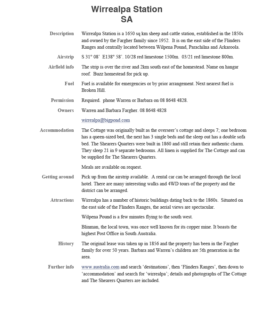 An A2 sized coupy can be ordered for $5 plus postage by emailing pilotstouringguide@gmail.com. 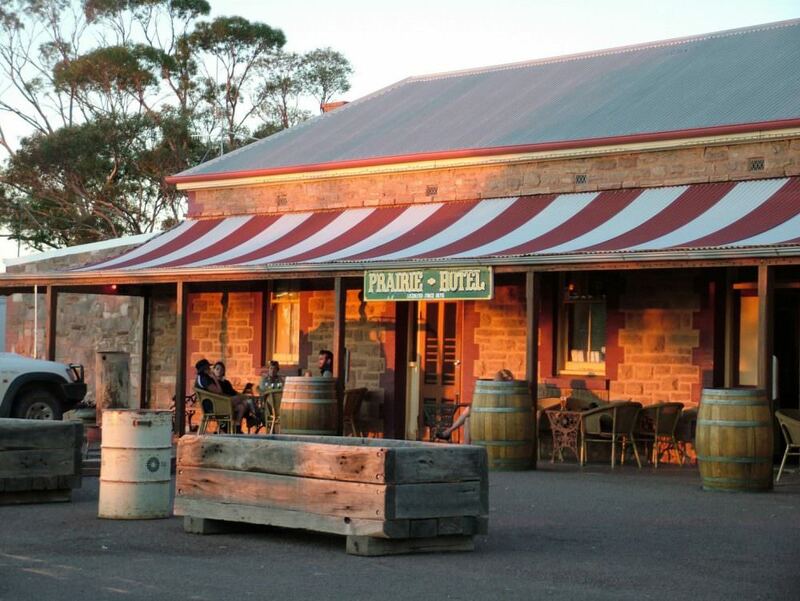 The Guide for places to visit that welcome touring pilots. 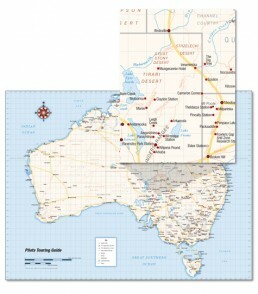 This map showing the destinations in the Guide and the routes often used by touring pilots, is included in the maps section of the OzRunways app. 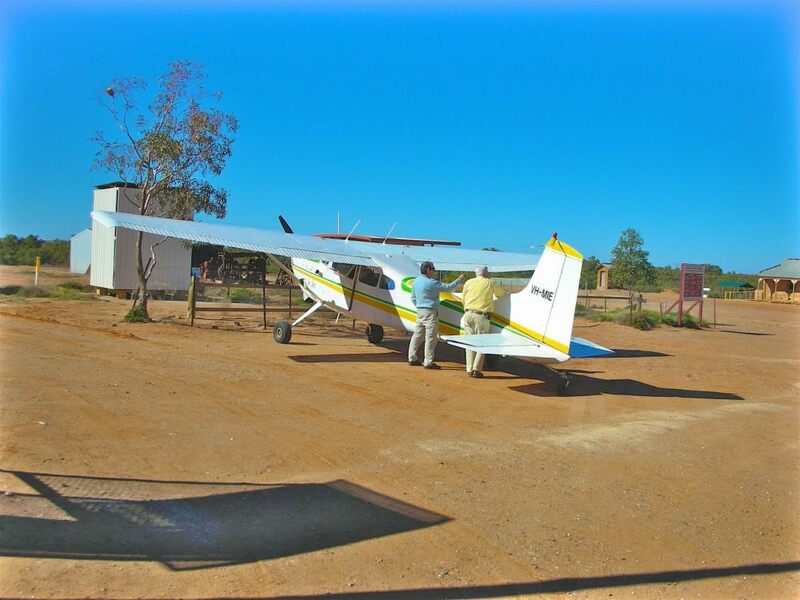 View Online MapLink to "Flying The Outback"
This is aviation journalist and enthusiastic outback touring pilot Shelley Ross’ great website.